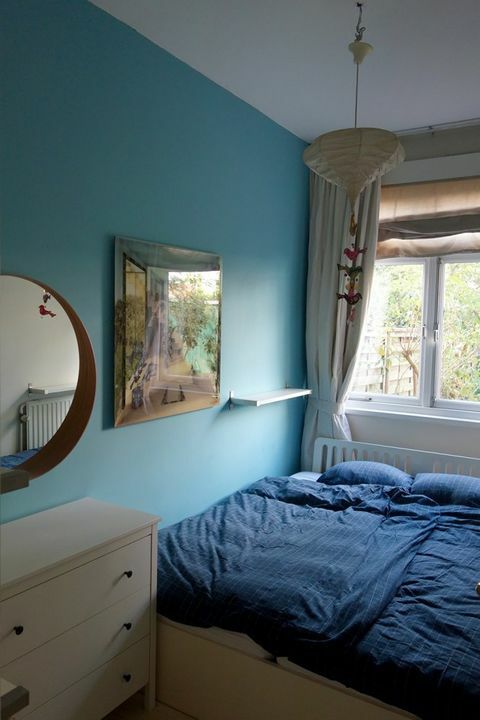 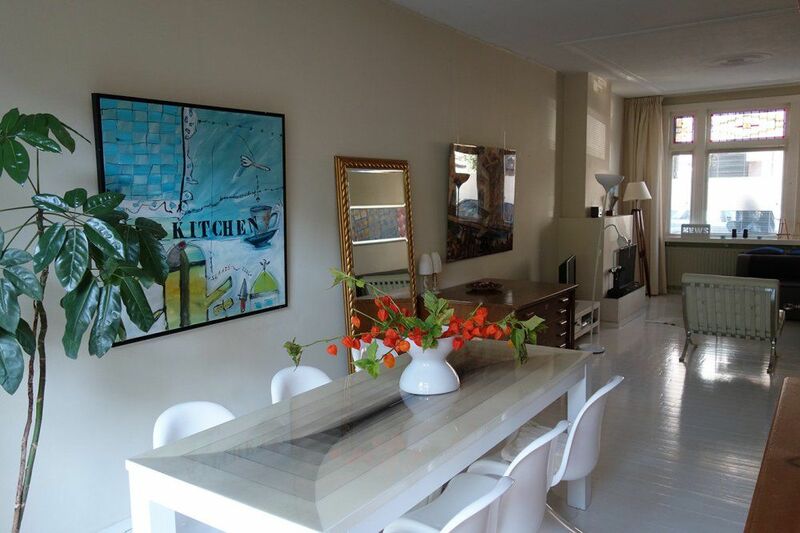 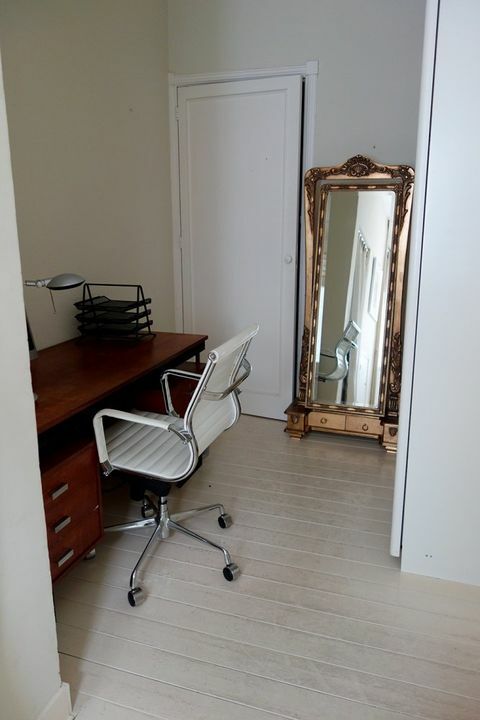 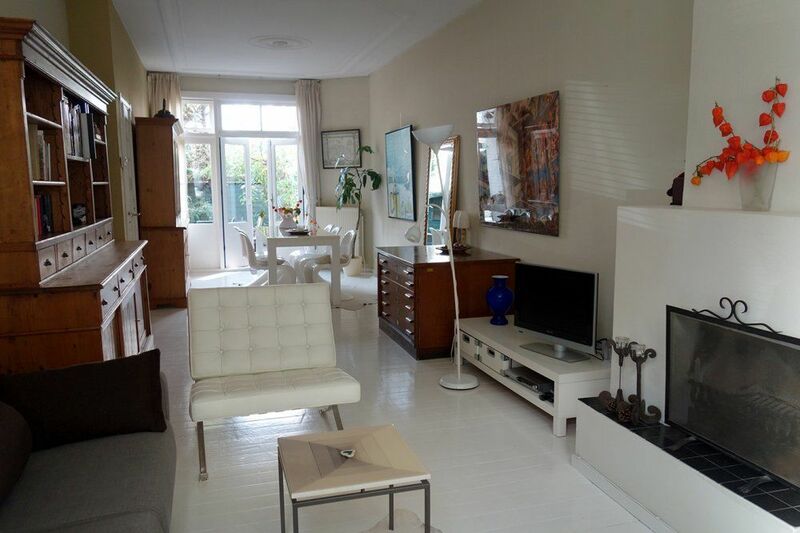 Beautiful fully furnished bright apartment with large sunny garden at the rear. 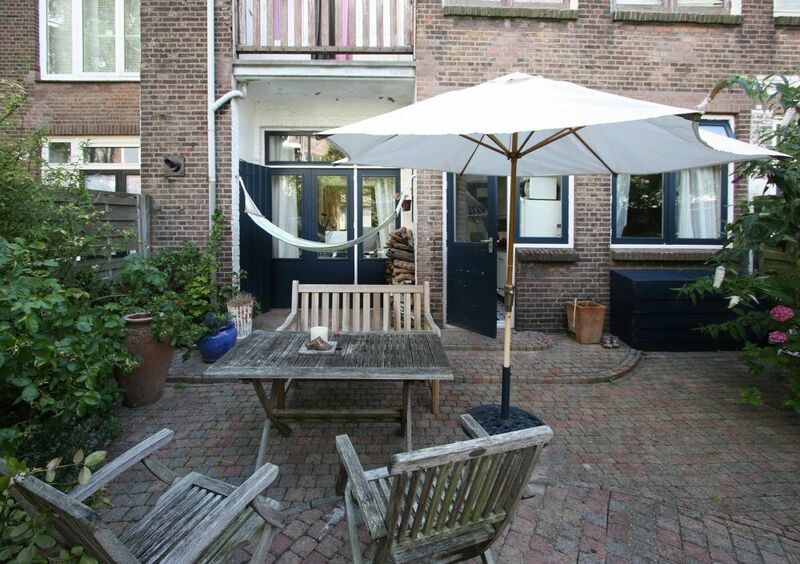 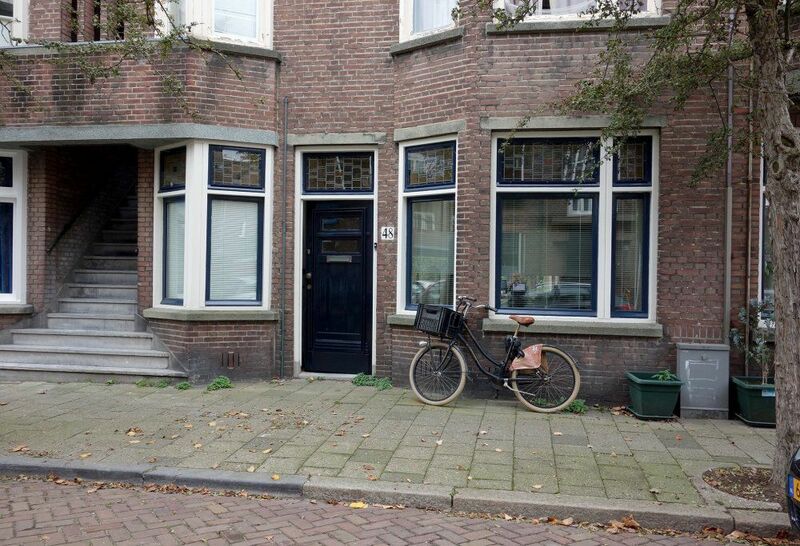 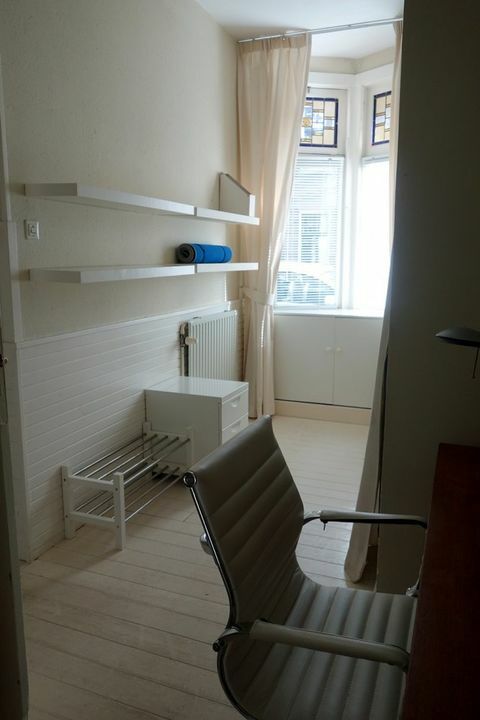 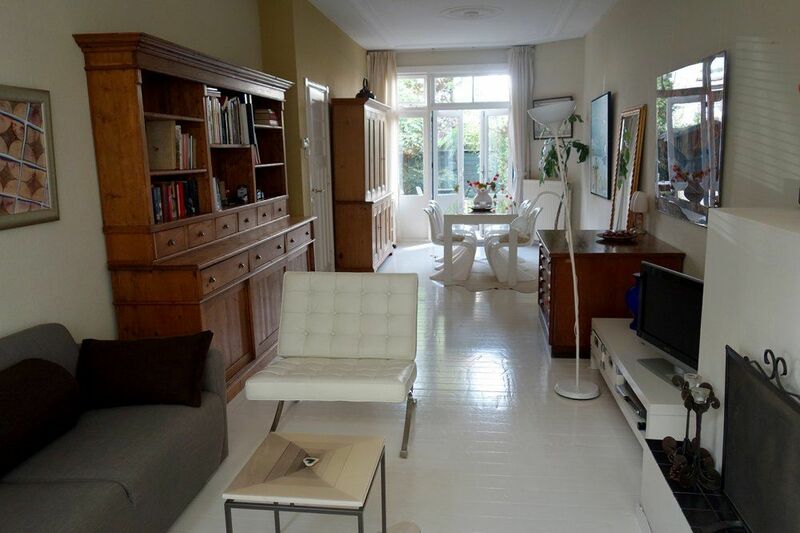 This apartment is very centrally located close to public transport, exit roads, Central station, shopping street Theresiastraat and the forrest called the "Haagse bos" are on waking distance. 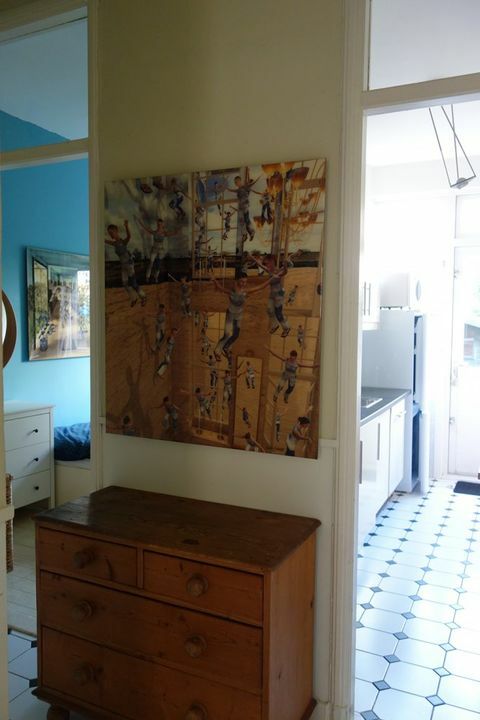 Lay out: Entrance ground floor, hallway which gives access to all areas. 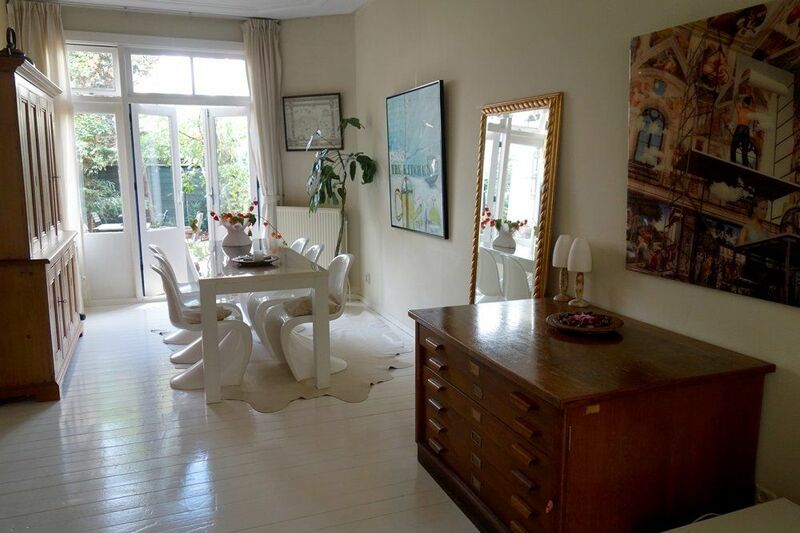 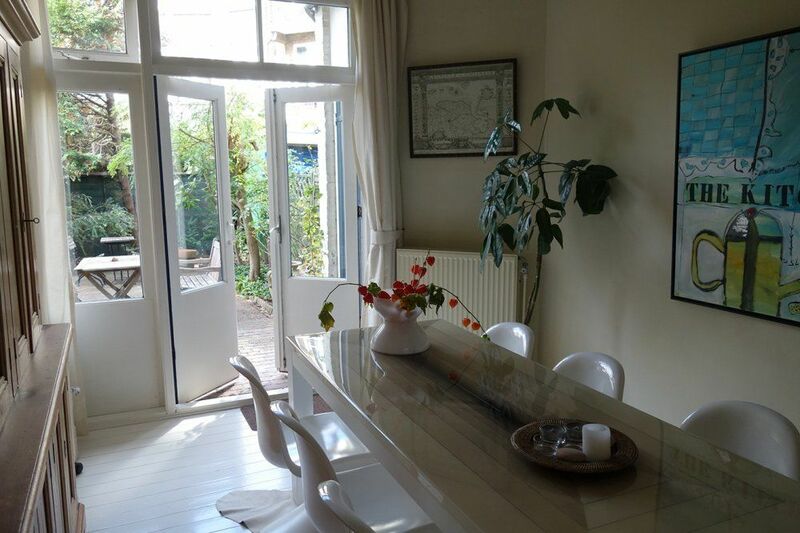 The living/ dining room is bright and gives access through French doors to the large garden. 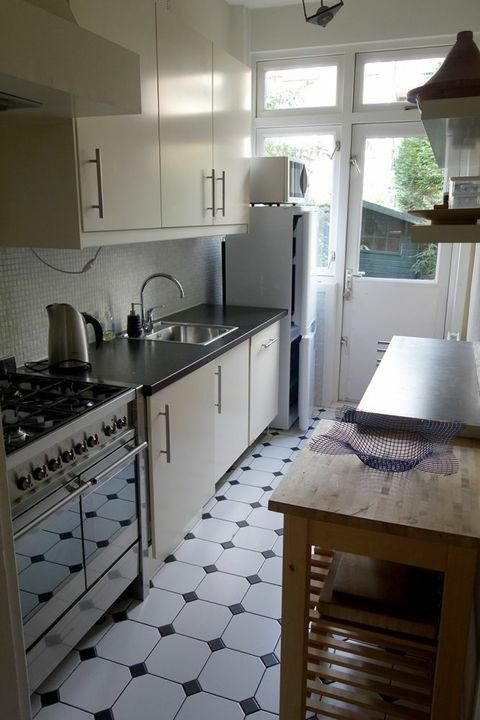 The separate kitchen is fully equipped with dishwasher, gas stove, oven, fridge/freezer, and hood. 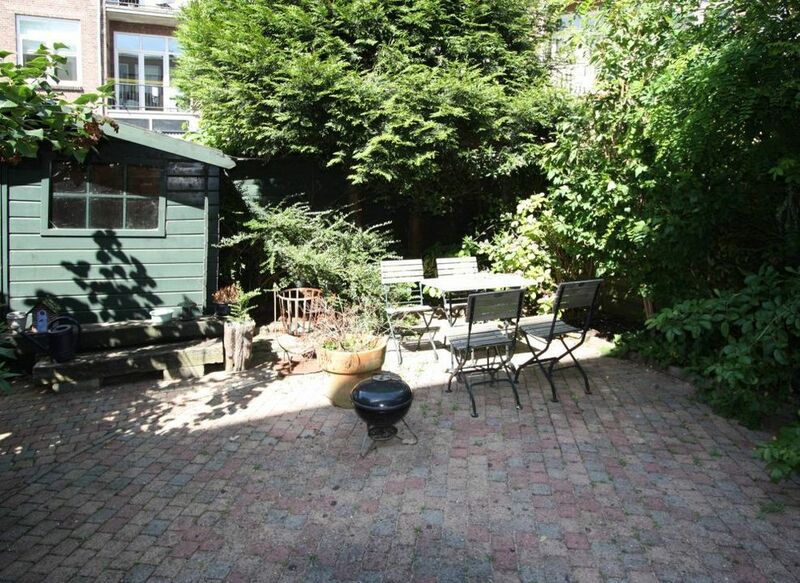 The kitchen gives like the dining area access to the garden. 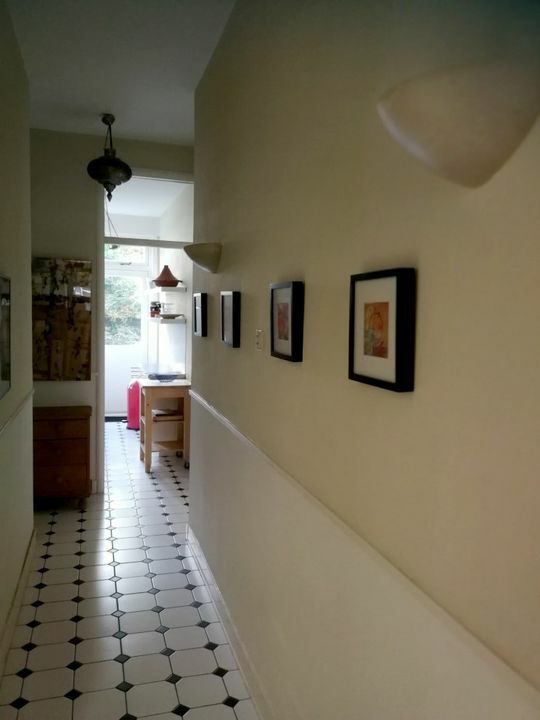 Through the hallway to the main bedroom at the rear. 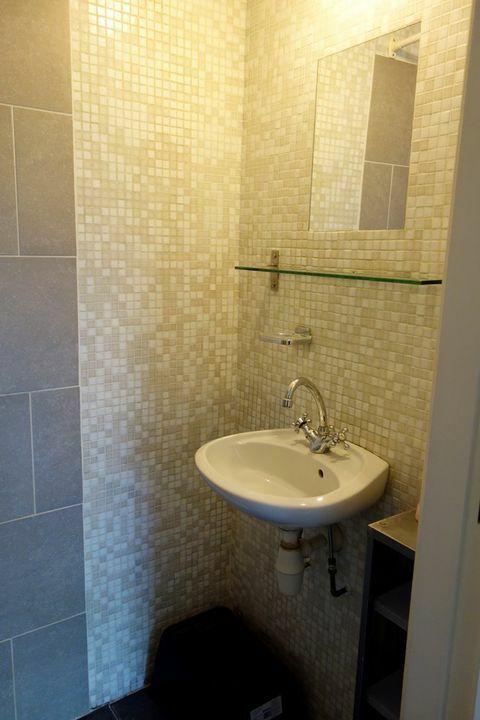 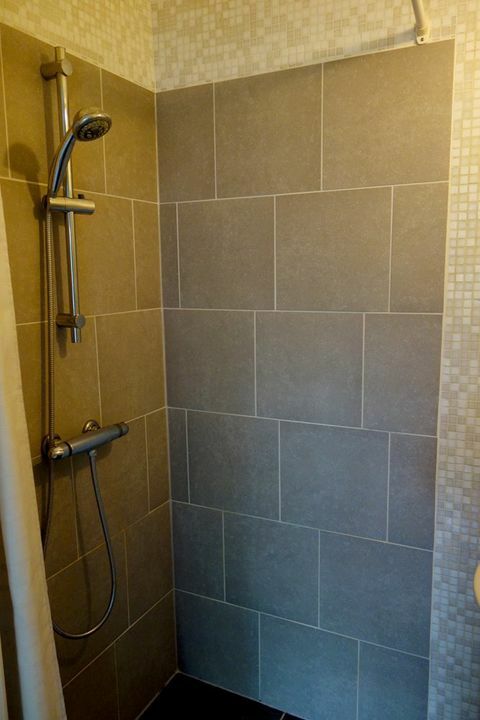 Through the hallway to the luxurious bathroom with shower and wash basin. 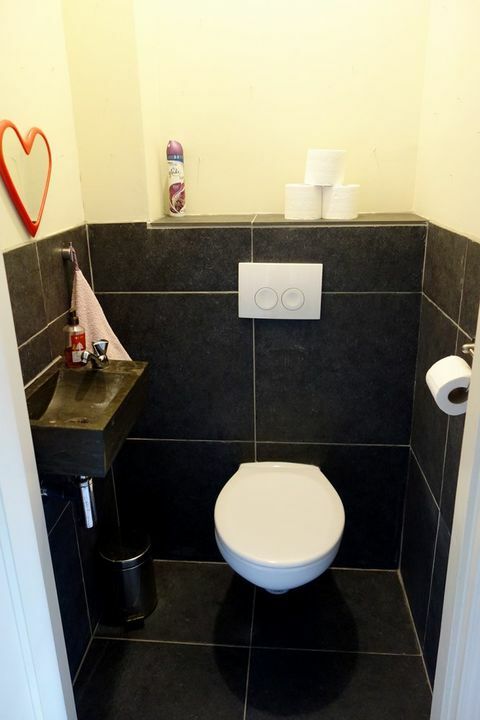 Separate toilet located in the hallway.The 2nd bedroom is located at the front side of the apartment and can be used either as a bedroom or study area.